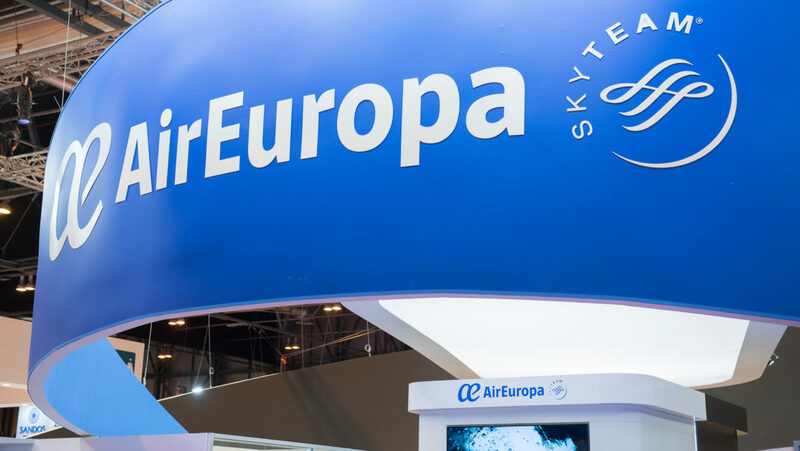 Once again, Air Europa exhibited at the International Tourism Fair (FITUR), one of the biggest tourism fairs worldwide, which took place in the Ifema trade fair centre of Madrid between 23-27th January 2019. The event was the perfect chance for us to launch Air Europa’s parent company Globalia’s tourism innovation hub, Wakalua, and to host the World Tourism Organization’s (UNWTO) competition for tourism start-up companies – the only one in the world. Keep on reading to find out more! Wakalua is a birthplace for innovative technological projects driven by Globalia within the co-working space of digital transformation experts Barrabés Group. Wakalua was created to discover and support start-ups and innovative projects, in order to co-create initiatives and collaborate in the transformation of the tourism sector. The company that wins the UNWTO Tourism Start-up Competition and the top finalists will be the first “residents” of this hub, where they will have the opportunity to bring their innovative projects to life. In 2018, Refundit from Israel was selected as the winner out of the 3,000 projects submitted from all over the world, and this is how Wakalua, as part of this start-up, began its adventure. The Israeli company offers a state-of-the-art tax refund application to tourists residing outside Europe when visiting European countries. This allows for direct refunds through the app itself. The objective of this competition is to make innovation and investment in tourism a means to foster better tourism products, improve tourism management and harness sustainability as the backbone of tourism, creating jobs and increasing opportunities. Medellin will be, from June 1, Air Europa’s second direct flight destination in Colombia. 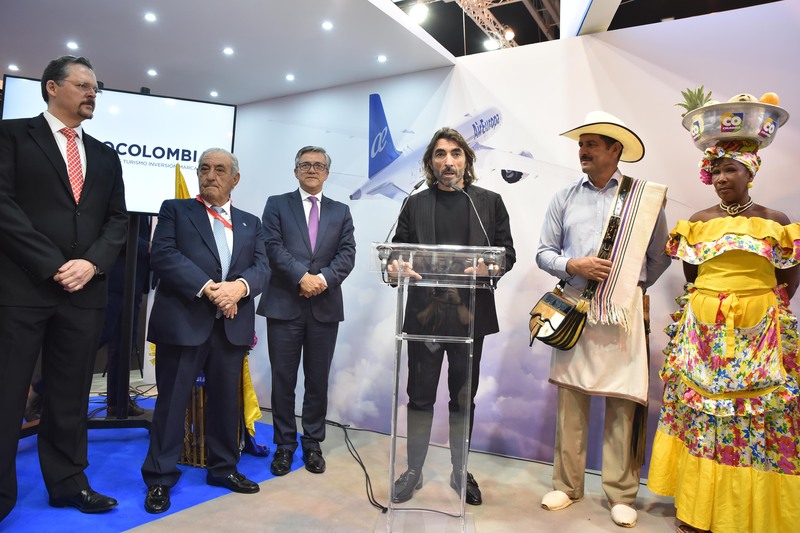 The announcement of this new route was made by the Deputy Minister of Tourism in Colombia, Juan Pablo Franky Marín and ProColombia’s Vice President of Tourism, Julián Guerrero. 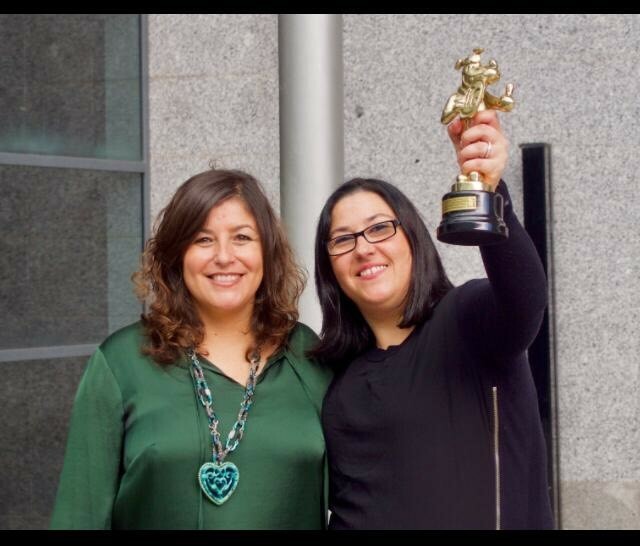 Globalia’s CEO Javier Hidalgo and Air Europa representatives were also in attendance. The new flight that will link Madrid and Medellín three times a week. 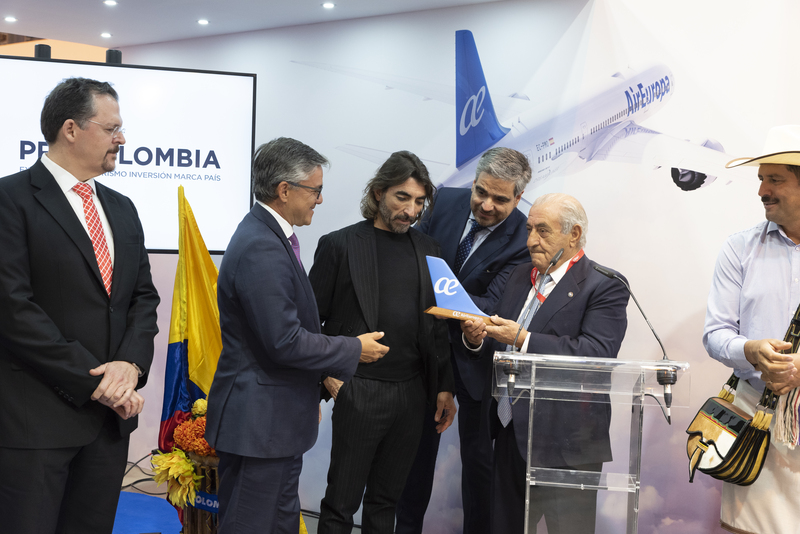 The international growth that we will see in the course of 2019 includes the opening of a new route to Panama that will begin on June 2019, linking Madrid to Panama with a total of five weekly flights using the Dreamliner fleet. Air Europa’s Dreamliner fleet will also operate a new route to Puerto Iguazu twice a week, our third Argentinian destination, starting August 2019. This new route shows Air Europa’s focus on Argentina and its commitment to grow and expand in Latin America, currently with 23 destinations across the continent. Air Europa’s stand was also visited by celebrities and well-known people and VIPs, including Spanish King Don Felipe and Queen Doña Letizia, Public Works Minister José Luis Ábalos, who tried our Dreamliner simulator, as well as Lucas Hernández, who plays for Atlético de Madrid Football Club. We also received a visit from Pepe Rodriguez, a judge from the Spanish edition of MasterChef, and a musical touch was added by the singer and composer Coti, who showed a great ability with our flight simulator. Finally, it is worth mentioning the award given to Animaerea, an NGO formed by company employees, whose activity involves the charitable transportation of pets, which received the prize for 2018’s best “responsible custody” initiative at the TravelGuau awards. More than 425 animals have been transported thanks to this initiative, the only one of its kind in Spain and Europe, involving Air Europa’s participation. Social Media Coordinator for Air Europa. Innate and passionate spirit of the great cities. Reader in the world 2.0 and learn by doing.